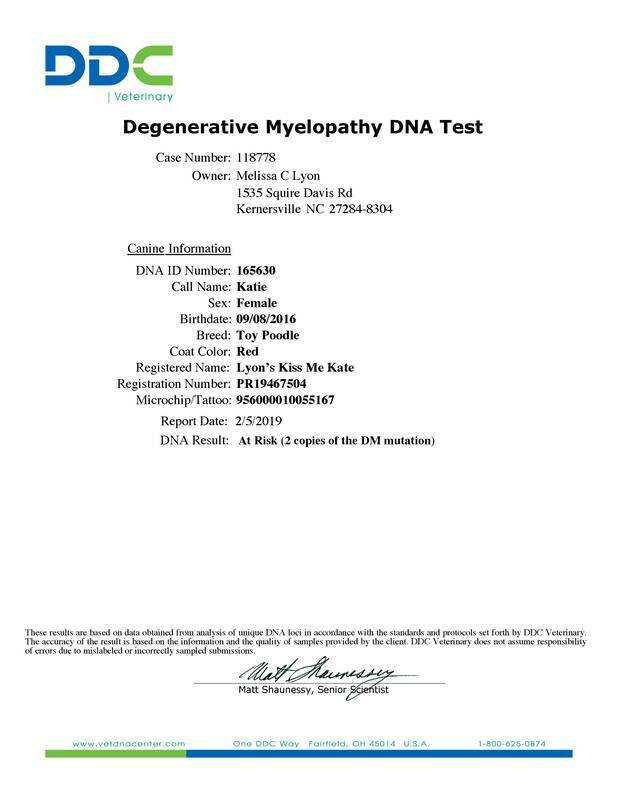 Degenerative myelopathy is inherited in an Autosomal Recessive manner in dogs meaning that they must receive two copies of the mutated gene (one from each parent) to develop the disease. 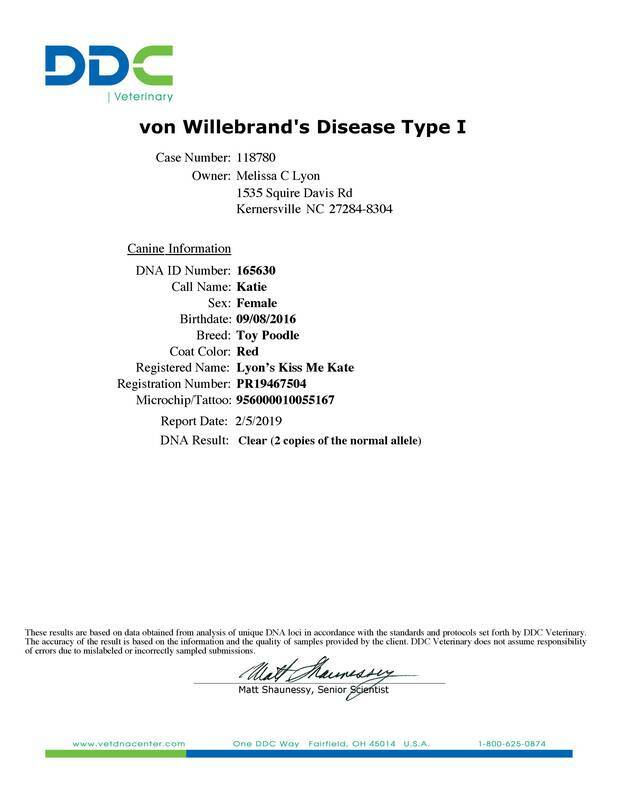 It is recommended to only breed a carrier or affected dog to a dog that is clear of the mutation. 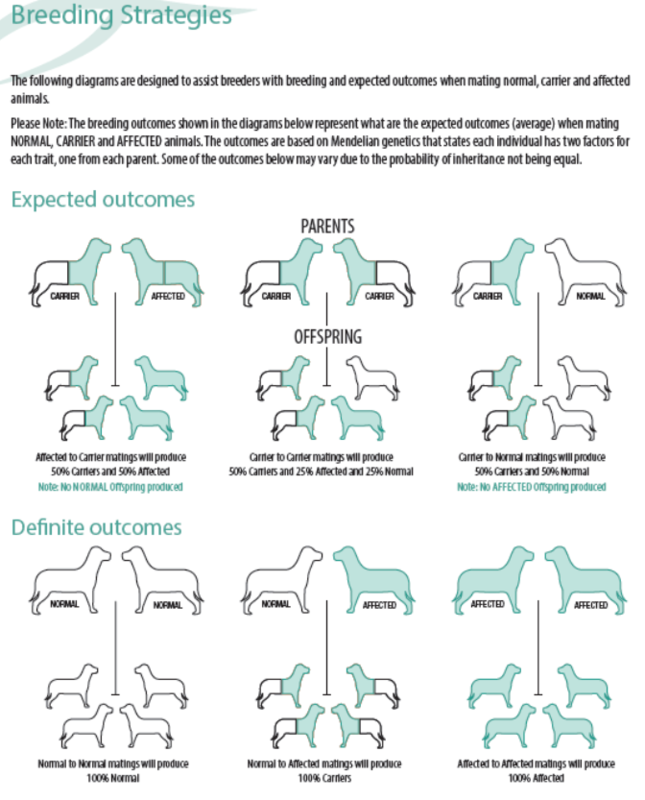 Using statistics as a guide, this strategy is expected to result in a litter consisting of approximately 50% carrier offspring and 50% normal or “clear” offspring; or with an at risk dog 100% carrier. Thus, avoiding the removal of the carrier or at risk dog from your breeding program. 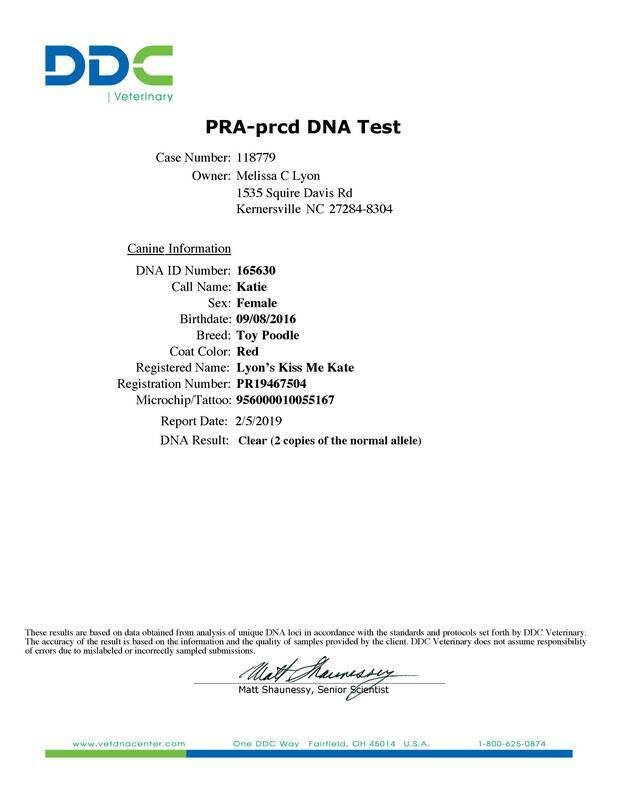 Katie will be bred with only DM "Normal/Clear sires so that none of her puppies will be at risk.